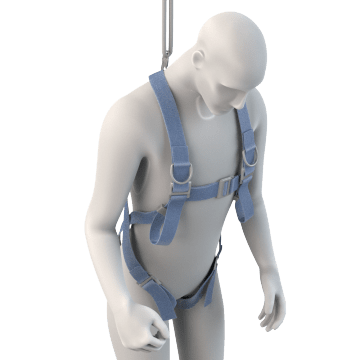 Use this equipment to help workers get to a safe location if they have fallen. 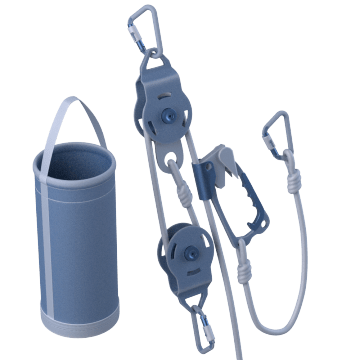 These kits include a pulley system along with connectors and equipment for attaching fallen workers to the pulley system so you can raise or lower them to safety. Use self-rescue ladders to climb back to safety after a fall when working at heights. 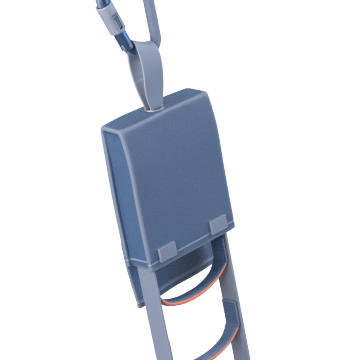 The ladder mounts to an anchor point and attaches to a worker's body harness, and the worker pulls the ladder's lanyard to deploy the ladder. 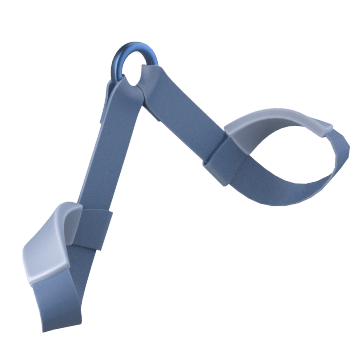 Rescue workers in confined spaces with these lanyards, which attach to shoulder-mounted D-rings on a confined space harness to help keep a rescued worker upright during retrieval. 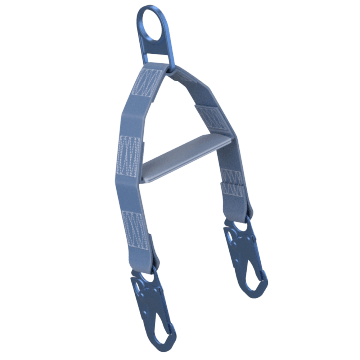 Attach these wrist lanyards to a worker's arms to keep them vertical during a rescue operation, which helps minimize the worker's width, and to prevent the worker's arms from swinging during extraction.